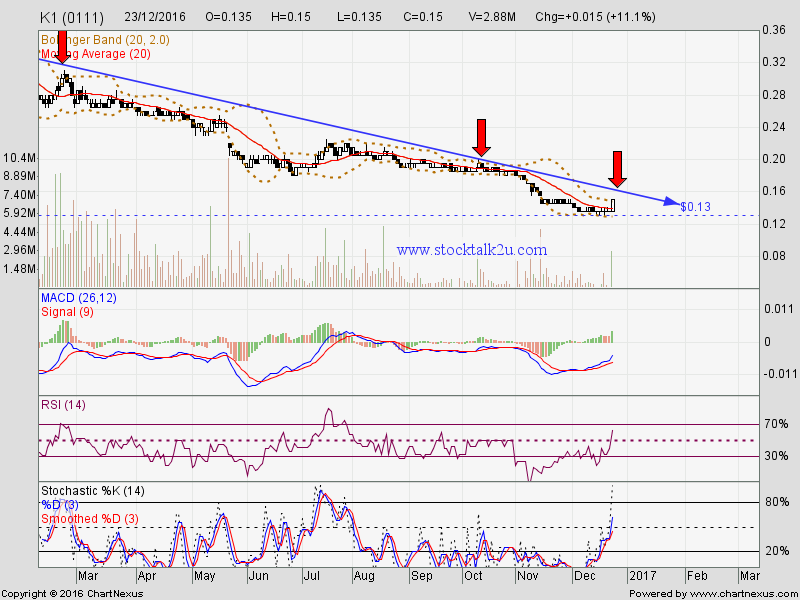 K1 rebound from RM0.13 support level. 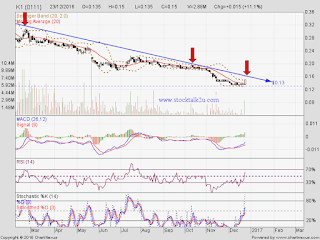 How about this round, will it breakout downtrend resistance level? Subsequent support is RM0.10 level.